UK bookselling chain Waterstones has selected Sally Rooney’s Normal People (Faber) as its book of the year for 2018. Chosen from a shortlist of eight, ‘Normal People was swiftly championed by our booksellers and received an unprecedented number of bookseller votes,’ said Waterstones in a statement. ‘Achingly observed, wry and moving, Normal People confirms Sally Rooney as the guiding light to our modern experience, her second novel unspooling the tale of how one life can forever change another, no matter the years that pass. It is a story that is absolutely universal to us all, and it is brilliant,’ the statement read. 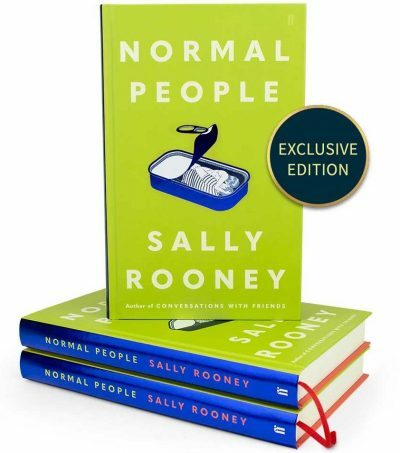 Waterstones has released a special edition of Normal People that includes ‘foiled detail on the jacket, redesigned endpapers, a ribbon marker and top and tail bands’. Philip Pullman’s La Belle Sauvage: The Book of Dust Volume One (Penguin) was the winner of last year’s book of the year award. As previously reported by Books+Publishing, Normal People was announced as novel of the year at the 2018 Irish Book Awards.